Welcome to those of you visiting from Poppytalk Handmade. I'm so excited to be a featured vendor for Poppytalk's current market, "Mixed Tape," described as a "compilation of handmade & vintage goods for the fall". 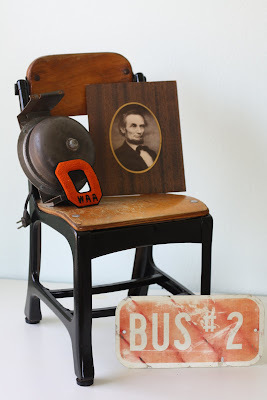 I concentrated mainly on vintage school related items. It's certainly fun to look around at all of the goodies being offered. This market starts today, September 21st, so be sure to go and take a look! All of the vintage items can be found here, but there are several other catergories as well. Check back, too, as vendors will be updating and refilling their shops all of the time. All of my my items featured on Poppytalk are available for purchase through my Etsy shop.